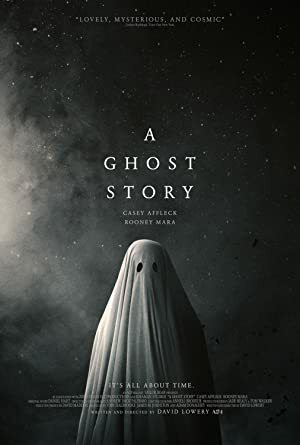 A Ghost Story (2017) – What's New on Netflix Canada Today! Resonating with vibrant memories and silent echoes of a shared life, the old house is somehow connected to “C”, a sensitive composer who is hesitant of leaving it, while his loving wife “M”, on the other hand, is keen on moving out, having an indecipherable but grim premonition of danger. Sadly, disaster soon strikes, and C’s untethered spectre which detaches from the lifeless body, rises from the mortician’s table, and in a swift decision, decides to linger in this dimension to faithfully follow the grieving M back to the old house. As silent as a shadow and as invisible as the air, C’s unappeasable phantom observes M’s denial and depression gradually turn to acceptance and even hope, as time unravels, moving forward through the decades. In this earth, man struggles to leave his legacy behind. Is this the way to immortality?